If the wild value fluctuations Bitcoin and other cryptocurrencies have experienced isn't enough to make investors uneasy, a mishap on a cryptocurrency exchange might be. Coincheck is one of the largest digital exchanges in Japan, where billions in cryptocurrency are traded. Overnight it announced that some $400 million in NEM cryptocurrency has gone missing. Exchange officials said the money was "illicitly" sent outside the exchange when it disappeared. Details of the disappearance aren't known at this point, but Coincheck executives said they have taken immediate steps to protect all client assets. That includes suspending withdrawals and temporarily halting deposits of NEM coins. In fact, it has halted all trading except in Bitcoin. The story has had predictable market repercussions. NEM's value fell 14 percent to 81 cents in a 24-hour period. Cryptocurrencies and the investors who own them have been on a wild ride so far in 2018, and it's still January. Bitcoin, which went from less than $1,000 to nearly $20,000 in 2017, fell to below $11,000 Friday. So far this month, Bitcoin -- and other cryptocurrencies like Ethereum and Ripple -- have lost and gained five to 10 percent of their values in one or two trading sessions. Still, there are plenty of traders willing to jump in and buy when prices fall. "Millennials are the driving force behind of all this," financial columnist Patrick Graham told ConsumerAffairs in November. "Bitcoin and the blockchain technology are the manifestation of how coding and the power of the crowd can come together to create new products, services, and things." Graham says millennials also like the revolutionary and disruptive nature of Bitcoin and the fact that nobody owns it or its blockchain, which is a growing list of encrypted transactions. 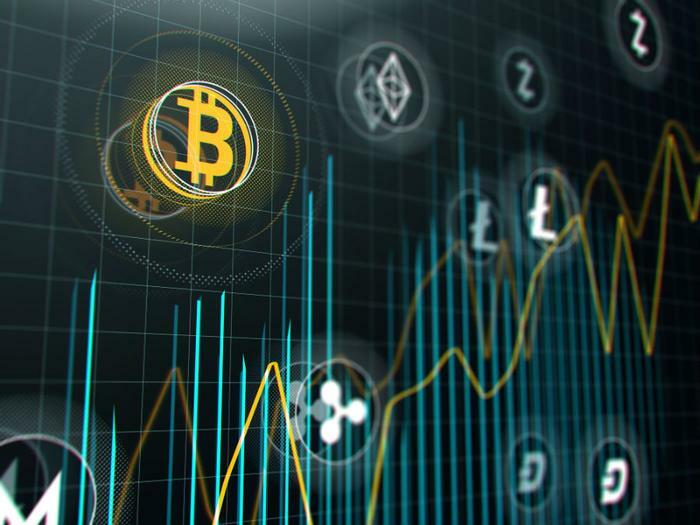 But lately, hedge funds and other institutional investors have hopped on the cryptocurrency bandwagon with sizable investments, perhaps diluting some of the revolutionary appeal. At the same time, governments -- notably South Korea and China -- have begun talking about regulating the digital currencies. The regulatory talk gained more traction this week as world financial leaders gathered for their annual confab in Davos, Switzerland. British Prime Minister Theresa May and her Chancellor, Phillip Hammond, talked this week about the need for greater regulation of cryptocurrency trading. Nobel Prize-winning economist Joseph Stiglitz, who is attending the Davos meeting, told a Bloomberg interviewer that he sees no legitimate role for cryptocurrencies in the world economy. He also said regulating cryptocurrencies would ultimately drive them out of existence.